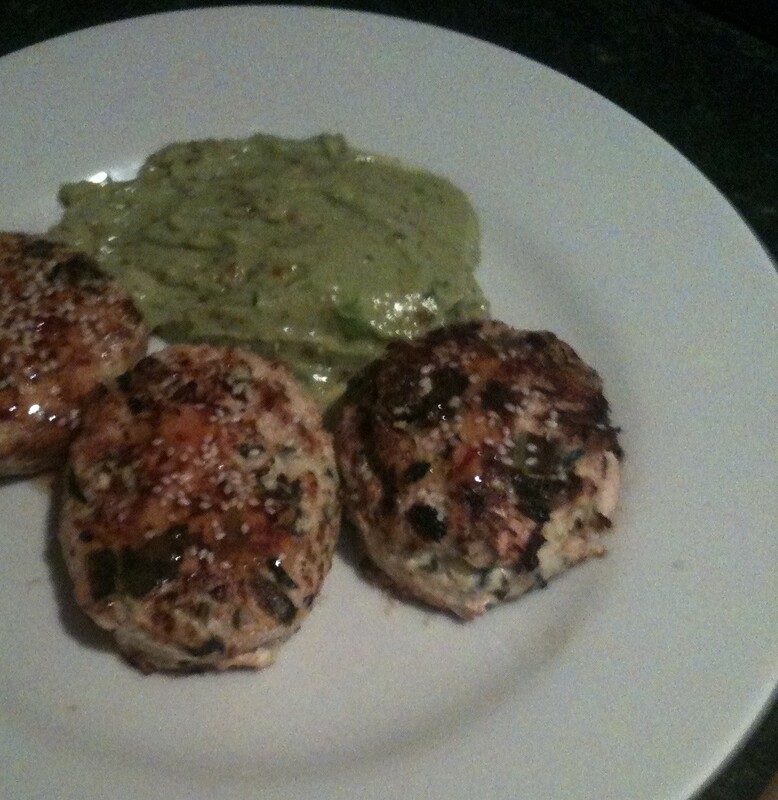 This recipe for Gluten free turkey burgers is perfect for anyone who like burgers. And that’s everyone right? Good. The only problem is that a lot of the ready made burgers in supermarkets in the UK are made with added wheat and therefore unfortunately non Gluten Free. 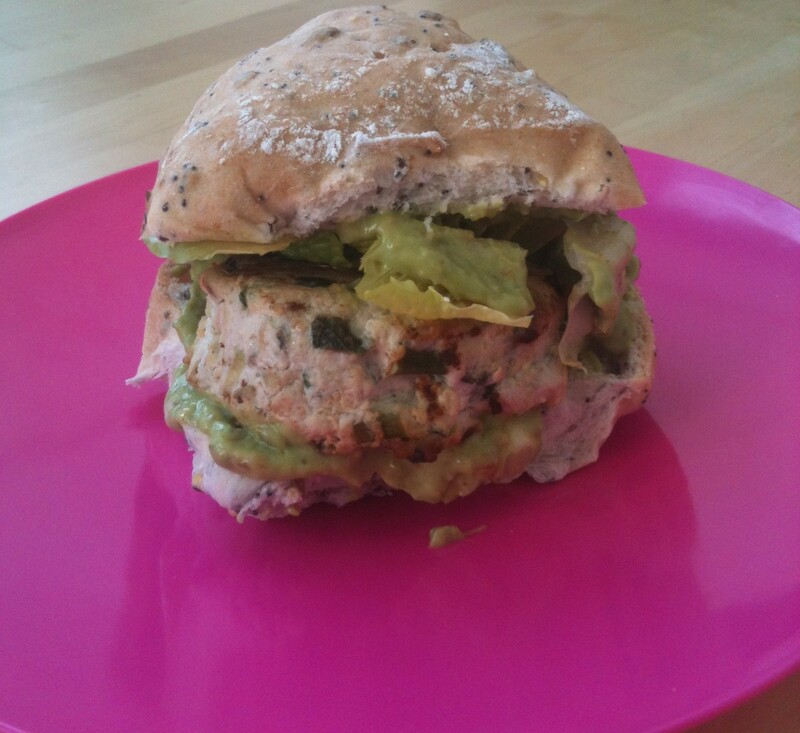 Which is where this recipe showing you how to make Gluten Free burgers comes in, a healthy, quick, easy and above all tasty turkey and courgette burger that’s a great addition to your arsenal of dishes. The Courgette and Mint give them a Mediterranean flavour and the Cumin and Coriander make them nicely spicy. They are really good served with a side of Guacamole, I like them with refried beans and sweet potato wedges. If you want a more classic burger you can usually find Gluten Free baps in any big supermarket, if I have them in a bun I usually put Guacamole on top of each burger and add some lettuce to finish. The amounts in the recipe below will make about 8 burgers, stored in the fridge in some Tupperware they will keep for 3 or 4 days. Just put them under a hot grill for about 10 minutes to re-heat them. 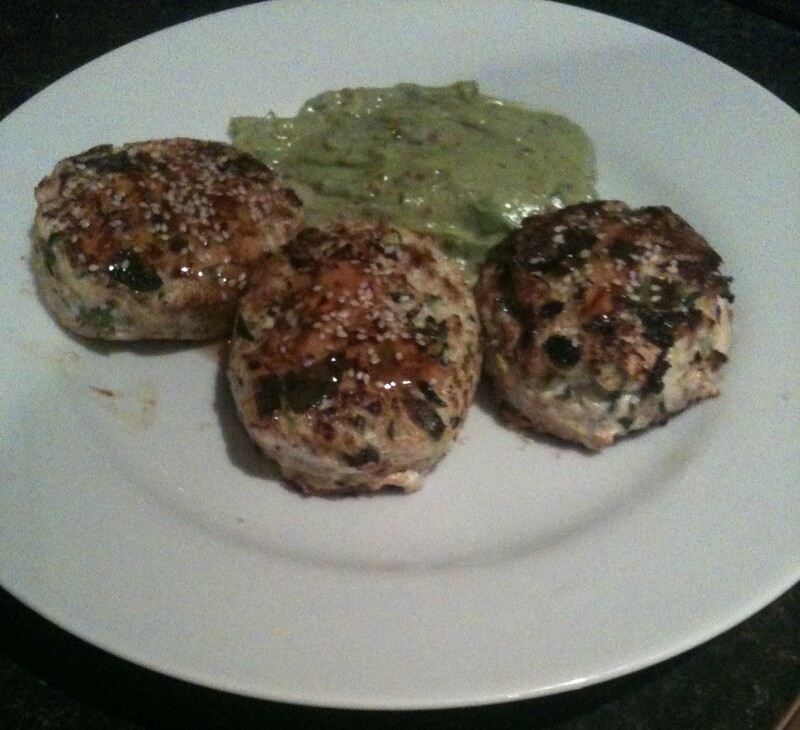 I’ve made these using Chicken mince instead of Turkey which worked well and imagine any other mince would also work. Put the grated courgette in a sieve, mixed with a pinch of salt, and leave it to drain for about 15 minutes. Squeeze out as much liquid as possible with your hands, then put the courgette in a large bowl along with the turkey, eggs, cumin, coriander, mint, garlic, spring onion, a teaspoon of salt and some black pepper. Mix everything together well, then using your hands shape the mixture into 8 burger sized patties. Heat two tablespoons of sunflower oil in a large frying pan and fry the patties for four minutes, turning once, until they are nice and brown on both sides. Transfer the burgers to a baking tray and finish off in the oven for a further 10 minutes. Spread the Sweet Chilli sauce over the Turkey burgers as soon as they come out of the oven. Sprinkle the sesame seeds on top of each burger and serve. Article posted in Dinner, Recipes on August 31, 2013 by Ray Smith.